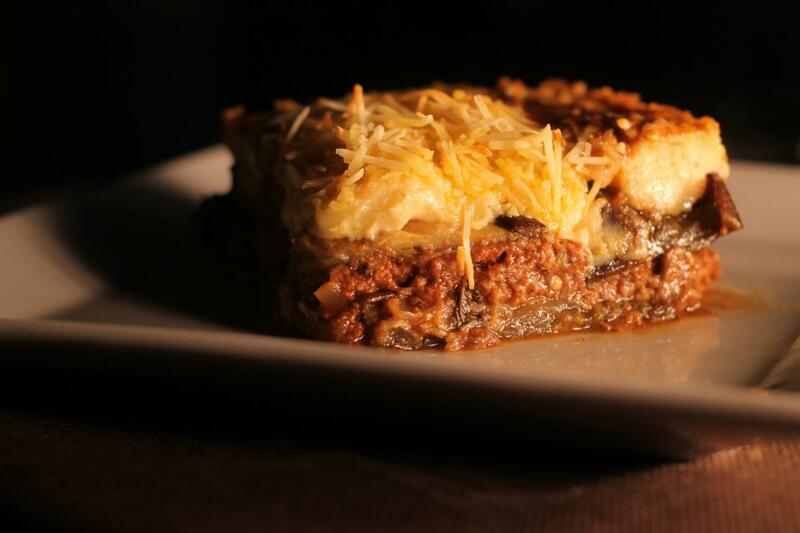 When you’ve had enough tapas to last a lifetime, try out this fabulous Greek restaurant in Gracia. We were looking for a place to eat one Friday night and something caught our eye as we wandered along the street. Greek dancing and plate smashing! We were sold. Rushing inside to catch the last few plates crashing to the ground, we had sadly missed the weekly performance, but were still rewarded with delicious food. 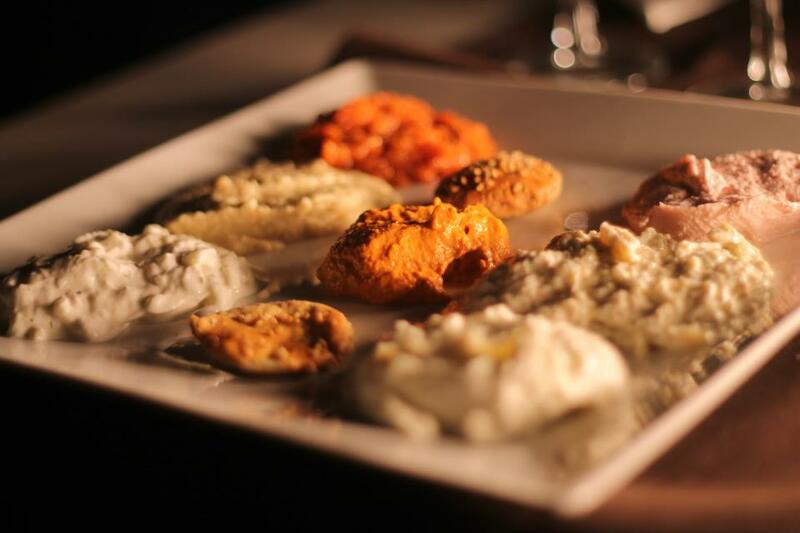 We chose a starter of mixed dips, served on a platter with pitta bread, and dived into the generous selection of hummus, tzatziki, taramasalata, aubergine dip, spicy feta and more. For mains my friend and I both plumped for Moussaka, not able to resist temptation, thus foiling our plan to order two different dishes to share. In the end we were more than happy with our choice as it was delicious. Already feeling rather the full, the waiter said those magic words ‘chocolate cake’ and we ended up with a huge portion of moist chocolatey yumminess to share – which I am ashamed to say we couldn’t finish. Hugely satisfied, if disappointed by my failure to devour the last morsel of cake, we paid €25 each for a splendid meal, including a bottle of house white. I will definitely be back, but will come earlier to enjoy the show! Reservations recommended, especially for Friday night, to get the best seats for the plate smashing. They also offer takeaways (to collect) with a 20% discount on the menu prices.